Engineering, nuclear science, environmental science, chemistry. 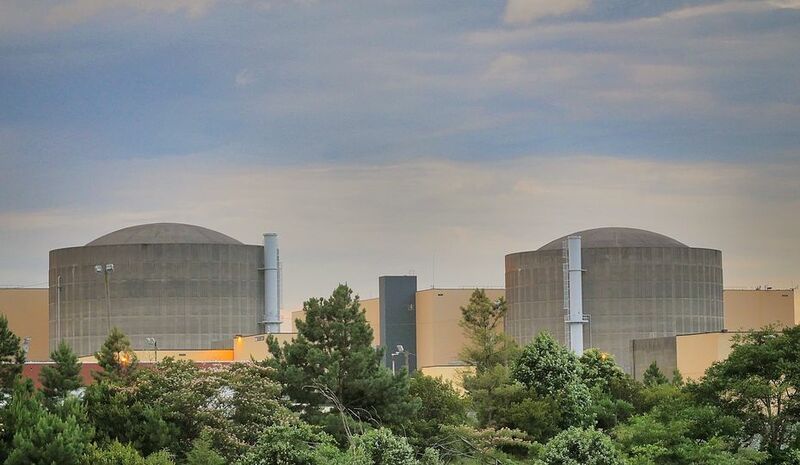 No, they’re not just subjects some of our nuclear teammates majored in as college students, but in fact, represent just a few of the Boy Scout merit badges taught at McGuire, Catawba and Oconee Nuclear Stations. 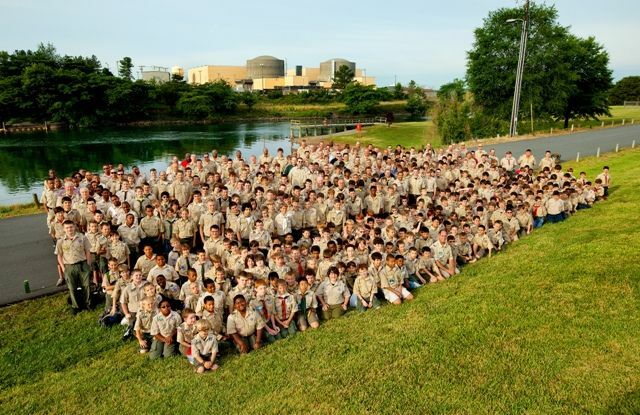 Year after year, Duke Energy invites nearly 800 Boy Scouts to earn merit badges at their local nuclear power plant. 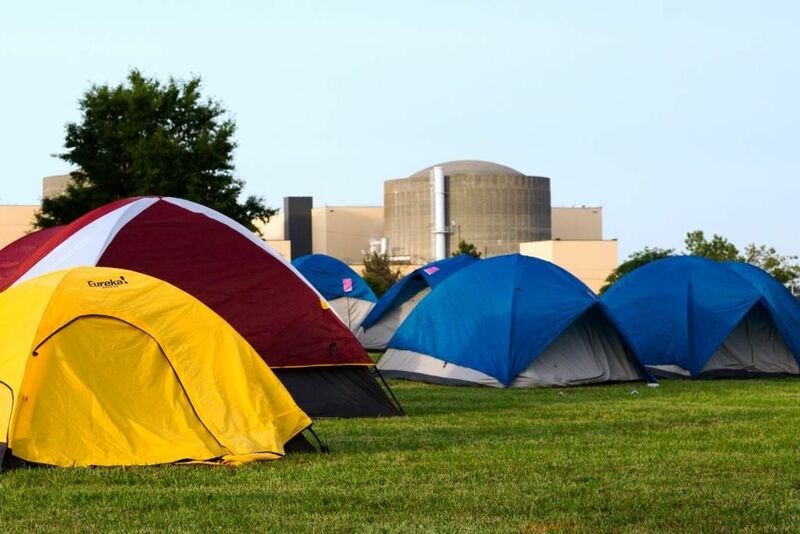 At McGuire and Catawba Nuclear Stations, in addition to earning merit badges, Boy Scouts participate in a multi-day event and have the chance to pitch a tent and camp out under the stars on the grounds of the power plant or at a nearby campsite. 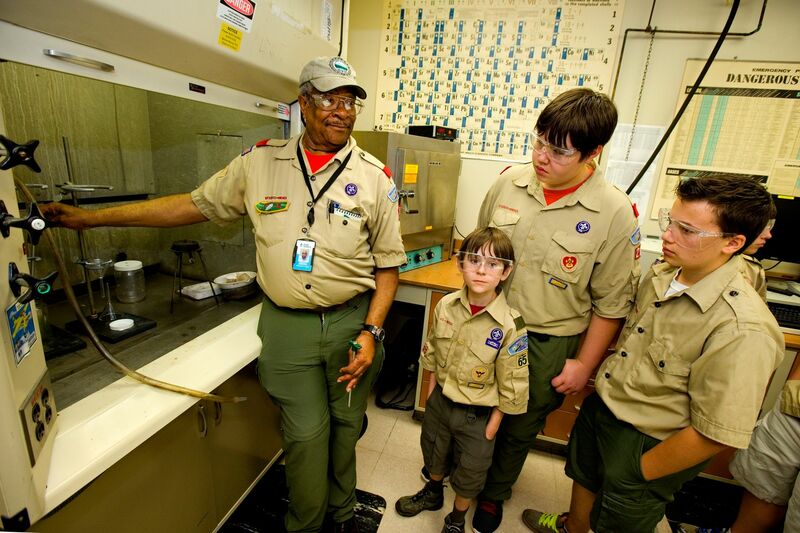 At Oconee Nuclear Station, scouts participate in a Merit Badge College where they can earn up to four merit badges in one day. Aside from the countless number of science and energy-related merit badges, scouts can also earn leatherwork, geocaching, railroading, communications, crime prevention and emergency preparedness badges as well as many more. 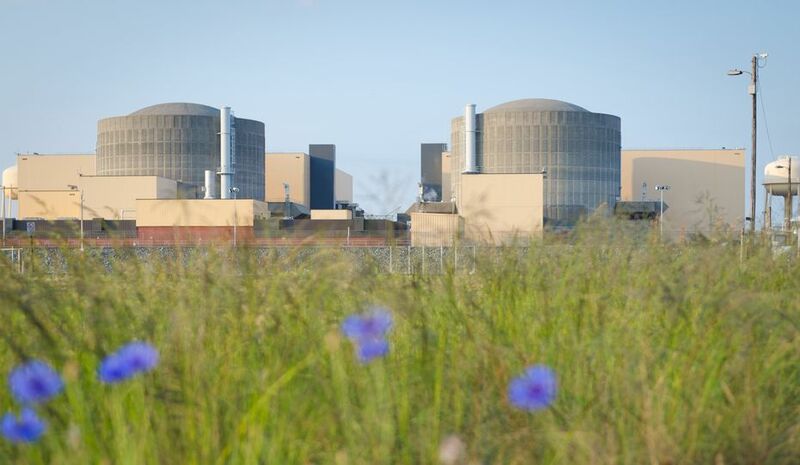 The Duke Energy merit badge program had its start more than 25 years ago, and all it took was the vision of three Duke Energy (then Duke Power) teammates at McGuire Nuclear Station who wanted to find ways the science and engineering expertise of the company’s employees could be mobilized as a scientific education tool in partnership with the Boy Scouts of America. 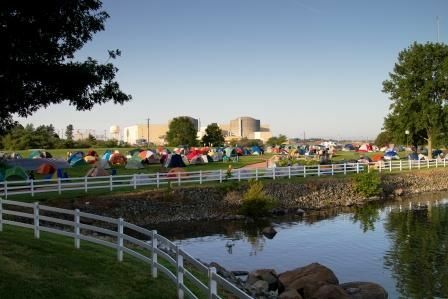 What was once a vision quickly became a reality in 1987 as the first merit badge encampment was held at McGuire Nuclear Station. At the time, only three merit badges were offered and about 90 boys participated in the program. 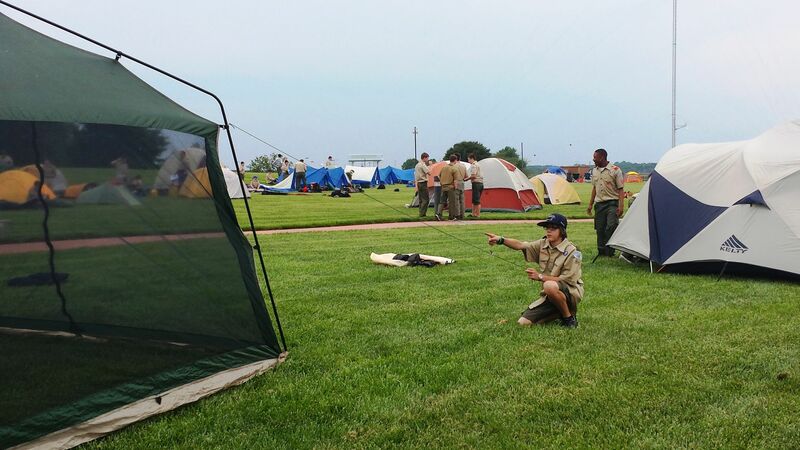 Today, the Boy Scout Encampment at McGuire offers nearly 25 merit badges to nearly 500 boys. 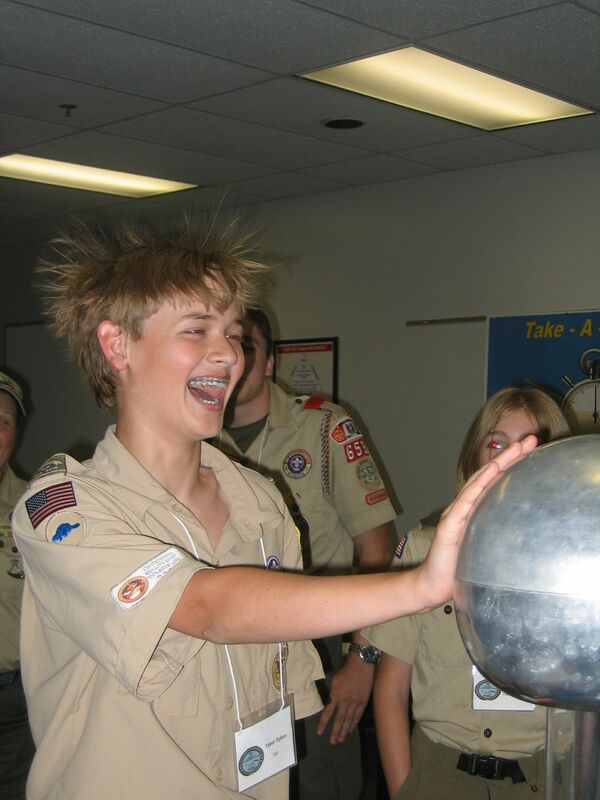 Since opening its doors to the Boy Scout community more than 10 years ago, young men have had several opportunities, including taking tours of the control room simulator at Oconee Nuclear Station or conducting experiments at Catawba Nuclear Station’s chemistry lab. Undoubtedly, a big part of the success of the program can also be attributed to the 150 Duke Energy teammates who have volunteered as instructors, including scientists, engineers, plant operators and trainers over the past several years. 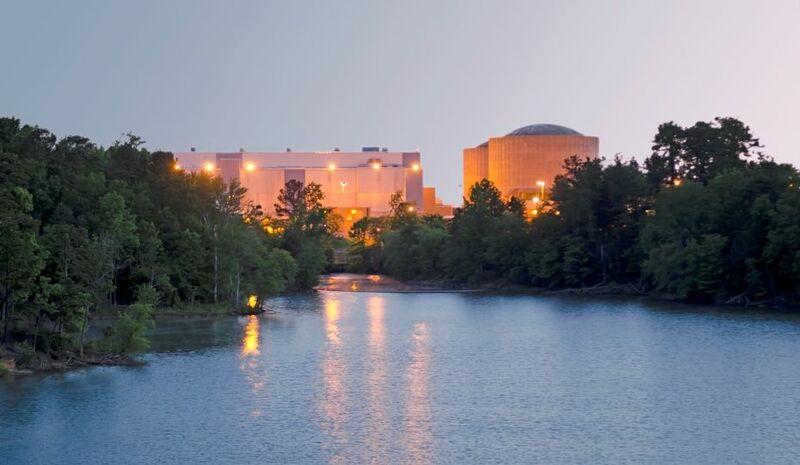 What was once a vision has now become an annual tradition at McGuire, Catawba and Oconee Nuclear Stations. To date, more than 9,000 members of the Boy Scout community have participated in the merit badge program. For some, the program allows scouts to simply earn merit badges, others might pick up a lifelong passion and for a few, it could open the door to college and a career. Each year, Duke Energy and the Boy Scouts continue to work together to find fun and innovative ways to enhance science education for young boys. 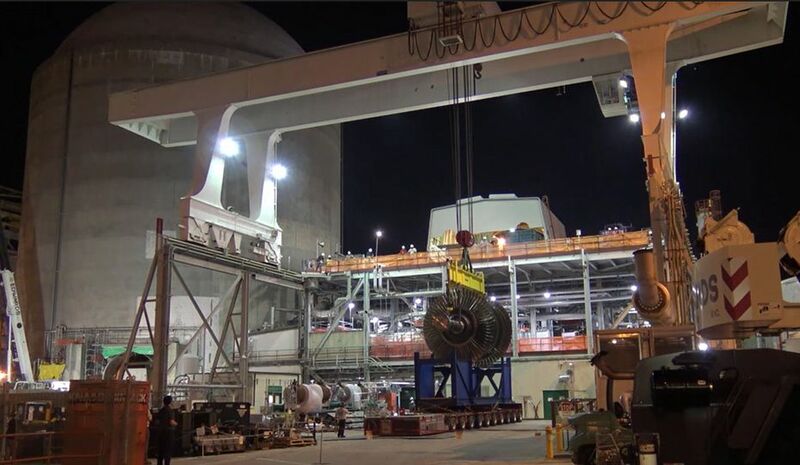 While scouts leave full of knowledge, events like the merit badge program are another way we share the benefits of nuclear power as a safe and reliable energy source. Event photography of the 2012 Duke Energy Merit Badge Encampment, held at the Duke EnergyExplorium at the McGuire Nuclear Energy Station in Huntersville. 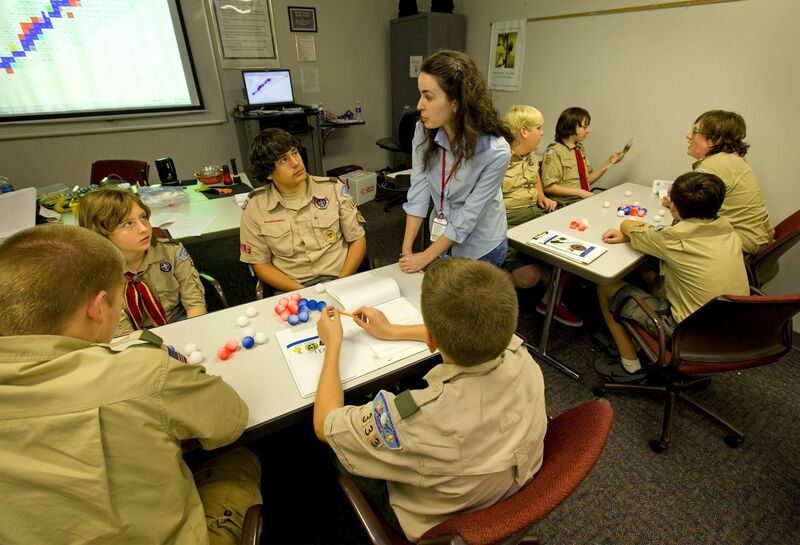 The annual event gave Boy Scouts the opportunity to work on 21 merit badges, including First Aid, environmental sciences, chemistry and citizenship in the nation.